Dorothy “Dorie” Margaret Warner Sills, 1920-2016, died in Wilmette, Illinois on Sunday, June 5. 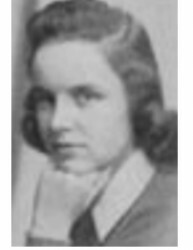 She was a resident of Evanston, Winnetka, Wilmette and Wayne, Illinois, Lake Geneva, Wisconsin, Dallas, Texas, and Washington, D.C. She attended North Shore Country Day School, Northampton School for Girls in Easthampton, Mass. and Sarah Lawrence College in New York. She married Clarence William Sills Jr. in June 1941 and was later married to Frank Ryburn Jr. of Dallas, Texas. She led an active life, from volunteer nursing during and after World War II, heading the annual Wayne Art Show and one of her favorite activities – running the annual Christmas pageant at the Little Home Church by the Wayside in Wayne. She worked as an interior decorator for a number of years. She loved Chicago and regularly attended the theater, ballet, symphony, art shows and was an avid museum goer. She belonged to the Women’s Athletic Club, Dunham Woods Riding Club, and Lake Geneva Yacht Club. She was a devoted member of the First Congregational Church of Wilmette. She spent a lifetime gathering friends who remained devoted to her through thick and thin. She loved to entertain and did it often and well. Dorie wanted to be and always was at the head of the parade. She was a great story teller and wonderful poet of family events. She is predeceased by her beloved parents Dorothy Haskins Warner and Rawleigh Warner and her sisters, Mary Clifford and Suzanne Kenly, and brother Rawleigh Warner Jr. She is survived by five children, Peter (Andrea), Gay, Hilary and Casey (Anne) and step-son Frank S. Ryburn (Mary Jane) as well as in-laws Elizabeth Sills and Bill Hoar; eight grandchildren; and seven great grandchildren. She is also survived by many nieces and nephews who remember her with great love and affection. Jacob Hersch Deutschmann, of Sierra Vista, known to family and friends as Jack, passed away on Aug. 8, 2013. 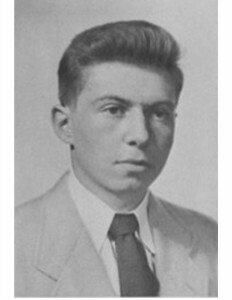 He was born on May 9, 1930, in Newton, Mass., the son of Arnold and Beatrice Deutschmann. As a young man, he attended Tufts University in Medford, Mass., where he earned a B.A., with a major in history. He joined the Marines during the Korean War, then returned to Massachusetts where he attended Harvard University and earned his MBA. He later lived in New York City, Essex, Conn., and Placitas, N.M. He began his career as a stock market analyst in Boston, then later worked as a stock broker on Wall Street and in Hartford, Conn. He retired at the age of 65 from Fahnstock & Co. in Hartford, Conn. His greatest passion was sailing, and he owned a variety of sail boats over the years following the winds along the East Coast, from Annapolis to Camden, Maine. He was also a Civil War buff, and enjoyed reading about and touring Civil War battlefields.He leaves two step-daughters, Renata Wilke of Sierra Vista and Michelle Truly of Crested Butte, Colo.; son, James of South Africa; three grandchildren, Amanda Tarbescu of Sierra Vista, Michaela Wilke of Sierra Vista, and Jacob Deutschmann of Wilmington, N.C.; great-granddaughter, A’lexus Perry of Sierra Vista; as well as numerous friends and relatives in New York, Connecticut, and Massachusetts. He is also survived by his ex-wife, Edith Tarbescu-Deutschmann, of Albuquerque, N.M., who was his partner for nearly 25 years. Donations may be made in the name of Jacob Deutschmann to dementia research to help find a cure for this devastating disease. His family and friends all over the country hope he’s sailing on the great lake in the sky. Edward Berchman Kerin died peacefully, surrounded by family, on June 2, 2016 at the age of 77. Edward is survived by his wife, Theresa Downes Kerin, their children, Katherine Kerin, Elizabeth & Kirk Carver, Timothy Whitesell, Patrick & Renee Whitesell, and grandchildren, Grace Nechanicky, Aurora Whitesell, Nell Stevens, Sophia Whitesell, & Rowan Whitesell. The son of Edward John & Josephine Karlsen Kerin, Edward was born on October 6, 1938 in Hartford, CT. He is survived by siblings, William & Louise Kerin, Lynn & Charles Cormier, Leah & John Giblo, and Robert & Randi Kerin, as well as many adored nieces and nephews. He was predeceased by his sister and brother-in-law, Miriam & William Keith. Key experiences shaped Edward’s path. Struggling to read, his father taught him to love words and literature. He won a scholarship to Williston Academy, which opened his mind further still. He attended Colgate and then joined the U.S. Army, serving for six years and reaching the rank of Lieutenant, reinforcing his belief in loyalty, honor, hard work. 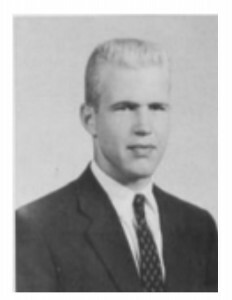 He later received his Executive MBA from Columbia University. Having two daughters, and later, two stepsons and many grandchildren, was a great source of joy for Edward, which he shared with Theresa, his wife of 20 years and dearest friend. 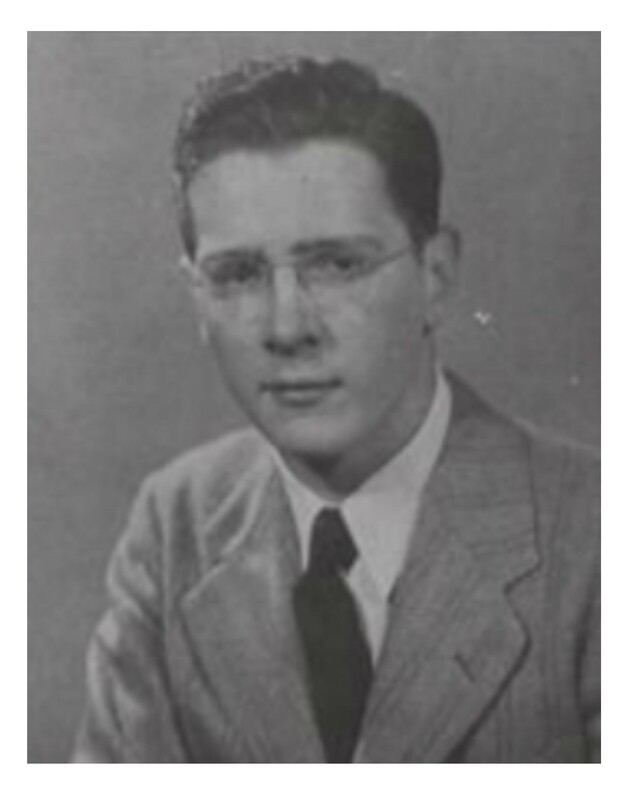 A 50-year resident of Poughkeepsie, NY, Edward worked for and eventually co-owned Chemprene, in Beacon, NY. He served on many boards, including Vulcan International Corp., Dutchess Golf Club (President), Vassar Warner Home, Greater Southern Dutchess Chamber of Commerce (Chair), & Workforce Development Institute (Chair). With the voice of a lion and the soul of a poet, Edward championed anyone who worked hard, no matter what they achieved. He also championed a life well lived. To help those who deserve a chance at that life, his family asks that contributions in Edward’s memory be given to the Williston Northampton School or the Children’s Home of Poughkeepsie. There are no services.